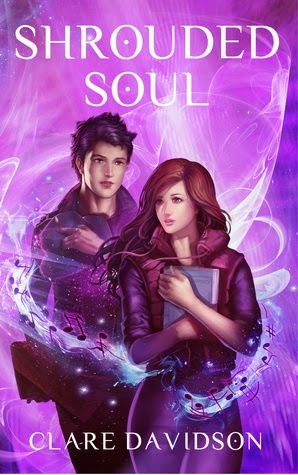 First Chapter, First Paragraph #5: Shrouded Soul by Clare Davidson!! 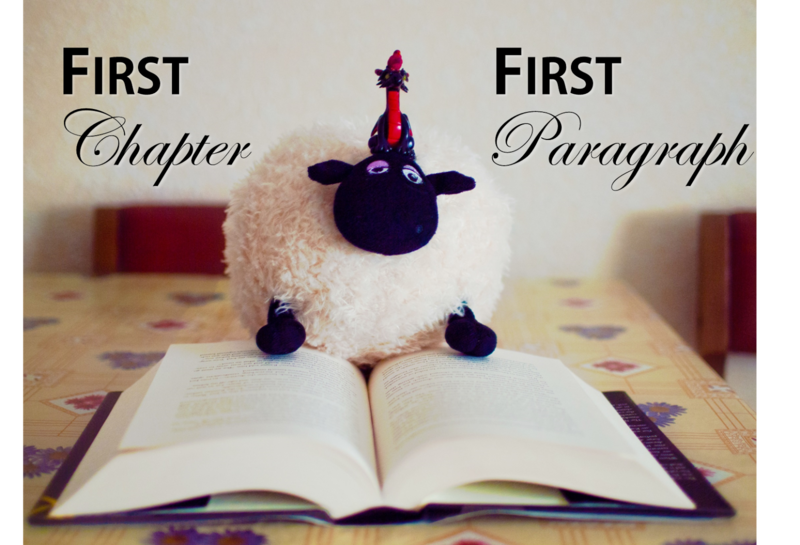 First Chapter, First Paragraph is one of the two memes that I will be alternating on Thursdays in place of my Ink & Batter posts during the summer, when I won't be baking due to the heat! I discovered this meme via the ladies of My Shelf Confessions, and it is hosted on Tuesdays by Bibliophile by the Sea. 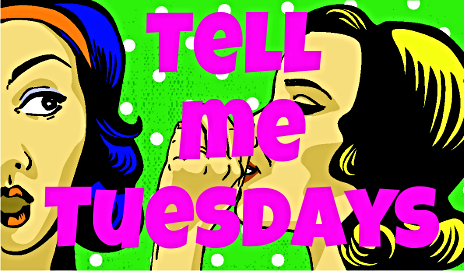 But since I already have my blog tours posts and Tell Me Tuesdays, I thought that it'd work best on Thursdays for me! The idea of this meme/feature is quite self-explanatory from its name, we share the first paragraph of the first chapter of our current read! 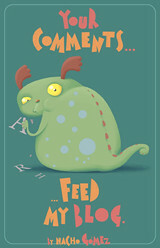 Quite a good teaser for others to read and see if they'd be intrigued! This week I'm sharing a lil tease from an ARC I got sent by the author of a indie paranormal series I discovered via Goodreads. (Thanks Clare!!). "I frame AJ's face in my phone's camera and use my thumb to take the shot. He laughs and turns away as the electronic shutter clicks, leaving me with an image of his profile. His cheeky lopsided smile is hidden from view"
What do you think? Would you want to know more? Soooo, what book am I absolutely dying dying to get my hands on this week?? Well, another series ender!! 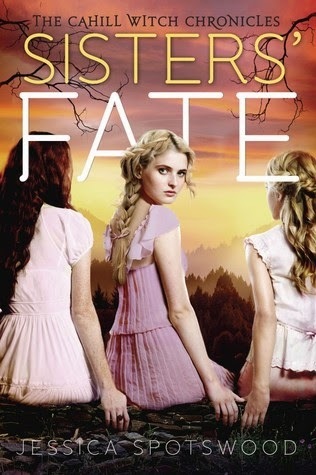 Sisters' Fate by Jessica Spotswood!! BEWARE OF THIS SUMMARY IF YOU HAVEN'T READ STAR CURSED!! SPOILERS AHEAD!! Why am I eagerly awaiting Sisters Fate?? Well, if you have read Star Cursed, how could I not?? That cruel cruel cliffhanger ending!!! 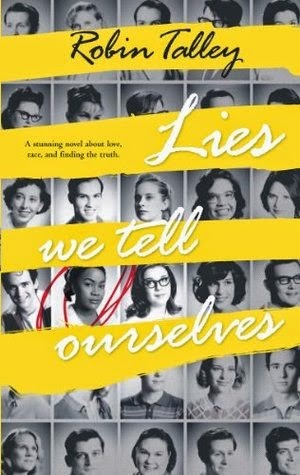 I'm dying here to know how it all goes on this book now and my The Book Depository preorder can't arrive soon enough!! What are you all (im)patiently waiting this week? 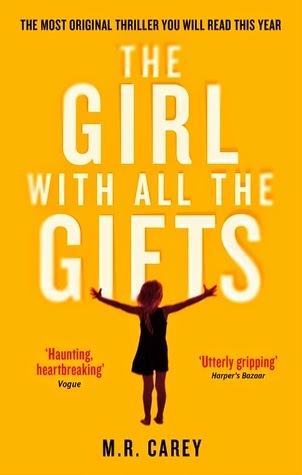 Emotionally charged and gripping from beginning to end, THE GIRL WITH ALL THE GIFTS is the most powerful and affecting thriller you will read this year." I'm doing a read-along with one of my fave book people and trusted canary Kristen from My Friends Are Fiction, and we both are absolutely loving this book to bits! Thank you, Wendy from The Midnight Garden for the recommendation! Mark This Book Monday: Chantress by Amy Butler Greenfield!! Hello everyone!! Happy Monday! Today I'm returning from my long weekend, but by the time this post goes up I will still be at the cottage playing with the puppies before lunch and then getting back on the road. Today's book for Mark This Book Monday is July's pick from my Alyssa Recommends list! I have been very much in a fantasy mood, and thought it was the perfect moment to read this one! 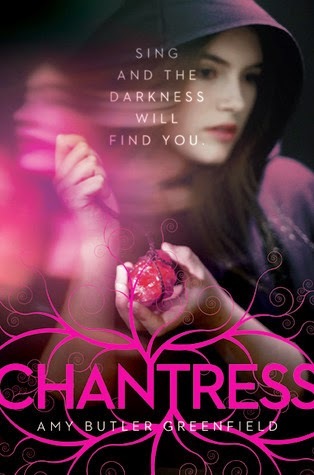 Chantress is one of those books I had wanted to read for a while, but never seemed in the right mood for it. 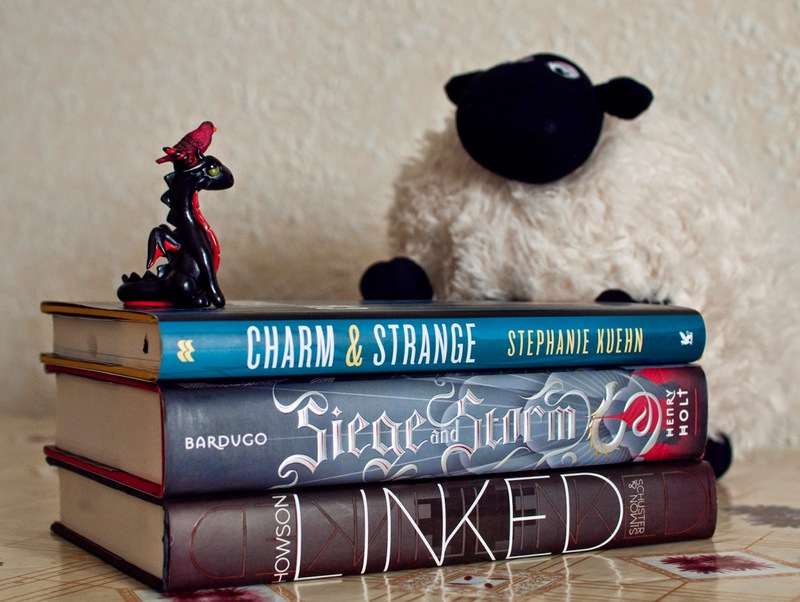 That changed when Alyssa from The Eater of Books gave me her list of Alyssa Recommends books and I was in a fantasy-reading kick! It took me a while to get into the book, not as much as to think of giving up on it, but enough to hope that it'll change a bit and make me love it more and round the 60% mark, it did! And then I couldn't continue reading fast enough! Lucy's first mistake and rebellion that started all the action was to be expected, I guess. When all you do is hide secrets and not give information at all to a young person that demands answers, you can find yourself with rash choices made. I'm not a fan of the "hiding things from you to keep you safe" cause ignorance usually does more harm than good. The beginning of the book was more full of questions than answers, given that Lucy starts discovering all the secrets that had been kept from her, but given how Chantresses had been hunted there's barely any information out there to be had. We also have the set up of the political situation and the need for change and rebellion and the dangers of it. I found the disbelief and mistrust between Lucy and her newfound allies understandable but to a point, Nat's attitude at first was very irksome, as much as I tried to empathise with him. Sometimes there was too much trust and sometimes the mistrust was thrown in some ridiculous occasion. Then the pace and the plot and all the information picks up and I was flying through the final 40% of the book, even if it wasn't 100% action, even in the scenes that could be a bit boring there were hints and things that kept me intrigued and wanting to turn the page. I really liked Lucy by the final part of the book, she showed more strenght of character than recklessness and showed that she could be trusted in the choices she made. There isn't much romance in this book, and what is in there is the slow build up kind of romance. I was hoping it wouldn't add unnecessary drama, and it didn't! It might not have been a slow burn that made me want to go at them "kiss now!" but I appreciated that it didn't get in the way of the story! Despite this being the first book in the trilogy, there is not massive cliffhanger at the end of the book and I'm so very grateful for that! There is enough resolution to leave us satisfied but there are also enough hints to be looking forward to what might come next in the sequel! Despite the not so gripping beginning, the final part of the book made me really enjoy it overall, so I give it 3.5 stars! Saturday Pages: Shimmer by Paula Weston!!! Hello there!! Welcome to a new edition of Saturday Pages!! By the time this post will be up, I'm gonna be at my parents' cottage, relaxing, enjoying that it's cooler there, playing with the pups, sleeping and reading! Just taking a few days to recharge and find some sort of inner peace! But since I've been a bit better with my juggling of work and blogging, I have a review ready to share with you guys, and this one is yet another 5 stars for an angel book! Who would've thought, huh? Not me if I had read and paid any attention to the Goodreads blurb! Hush, Hush?? Nope, this is WAAAY BETTER!! Thankfully I just listened to the very amazing Sam from Realm of Fiction and boy was she right!! Well, this was one of those highly awaited sequels and I was lucky enough to be able to start right after finishing the killer ending/cliffhanger of Haze! As expected there could be some spoilers for the previous two books in the series but I'll try my best to avoid them! Shimmer starts right where Haze left us, and includes a who's who and a prologue that will help with bridging the gap between one book and the other so you can be reminded of what's happened (always helpful if a year has passed between books) and that even if I had just finished one and started the other, didn't feel repetitive or superfluous. When things seemed to be going better on Haze, despite the dangers and the enemies and the unknowns, we got that horrible ending and Gaby and the rest of the Rephaim got quite the awful shock. And now they must regroup and react. Seems like this could be a chance for both sides of the Rephaim to work together, but it seems like that won't be something easily accomplished. I'm extremely happy about how the author seem to manage to make every book more, without faltering on the pacing, the revelations and the world building. How we keep on getting more clues and little things here and there, and how she keeps us wondering about what will be relevant later on and what won't. I loved how Gaby continued to grow and despite her acting a bit rashly due to very emotional and understandable reasons, I never really felt like she was being stupidly headstrong. I tended to agree with her questioning the authority and motivations behind the leadership of the Rephaim, and what their real mission was. It was great to see questions thrown into the Rephaim and see how each of them reacted, and how some changed sides and opinions. So much had been kept from them all and so much seems to still be discovered (or re-discovered in case Jude and Gaby had discovered it before the memory loss happened). I was beyond happy about the romance in this one, and I haven't really been in the right place for loads of romance as of late. This has been the slow burn type of romance and it takes extreme events to push it farther, but once it does, it happens with a vengeance! This book managed to up the ante a bit more after what Haze did, and that is saying quite something! Seems like all the players are now alligned for a final showdown and the ending despite being a cliffhanger, it's not the kind of horrible killer of a cliffhanger than Haze had, it's more of the "I want to know now!!" kind of cliffhanger, cause we're thrown quite the game changer at the end of this one! 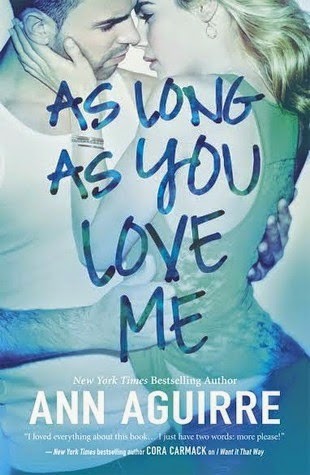 Once again, a very well deserved 5 stars for this book and a series that has managed to wow me with every book so far! Keeping my fingers crossed for Burn, the last book that will be releasing next year!! If you haven't started this series yet, DO IT NOW! Friday Reads: Haze by Paula Weston!!! Hey guys! 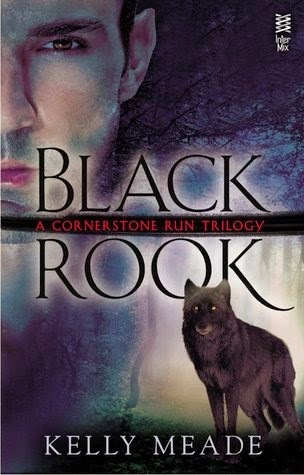 For the second entry on this week's Friday Reads I have one of those sequels that somehow manage to get everything that was good on the first book, build on it and make it even better! A word of warning, this book was released last year in the UK and Australia but it won't be published in US till September this year, so my dear US friends either curb your impatience, or order the UK/AUS versions from The Book Depository! Haze is one of those sequels that are absolutely amazing, that moves the plot along and is full of revelations and add more layers to the already complex world building! Since this is the review of the sequel, there might be some spoilers for book one, Shadows, but I'll try keep those to a minimum. 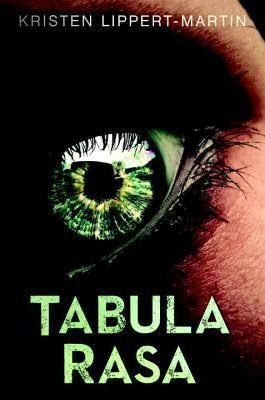 Haze starts pretty much where Shadows left us, with Gaby still reeling with all the revelations and happenings since Rafa appeared at a bar in Pan Beach, and the search for answers about what happened to Jude and her, what did they find out? Why the memory loss? We do get more questions than answers, but at least Gaby gets a bit of a break in the shape of some good news! She finds that she isn't alone in her corner, cause neither of the guys one both sides of the Rephaim seemed to trust her in Shadows, except from Rafa, and that came with reservations. Now, she finds herself asserting who she is as Gaby and accepting those parts of Gabe that come to her, like muscle memory and learning to fight properly, again. I loved how Gaby kept trying to find her place within the Rephaim now, being Gaby and not Gabe, dealing with all the memories everyone has of her, and that she doesn't. It was great to see her character grow and intereact with all the others Rephaim, even those that weren't fans of her at all. And what I loved the most was how the relationship with Rafa moved, it had quite a few hot & cold moments, but given the story between them that Gaby can't remember at all (and so we don't know about) it kind of makes sense that Rafa isn't entirely ready to act on his attraction (and probably much more) to Gaby. Their relationship is fantastic, since Rafa tries to treat her as who she is right now but at the same time is mindful of who she was. The chemistry between them is amazing as is the way they work as a team. The action takes us to so many new places in this one! Not only in Gaby's not real memories (that I keep thinking must be very important and relevant but still don't know how) but in the journey for answers the characters are. Gaby keeps returning to Pan Beach so it has to have some more significance that we know yet, and then she travels with other Rephaim to LA and Dubai... and every place feels so real and so vivid. What we thought we knew is challenged when we meet some new characters, and we're entirely unsure if they're friends or foes. I found very refreshing that there are revelations that are new for all the Rephaim, so it's not just Gaby the one that is in the dark, although it is quite worrisome too. What else is there that the Rephaim don't know about, and maybe they should? Why are they being kept in the dark? Is that why Jude and Rafe and their rebels left? Does it have something to do with why Gaby stayed and then left with Jude?? I feel like there are clues left for us everywhere along the books and we don't realize they're clues, except when something will be revealed and then we'll go "AHA!" and that's a feeling I love in a book! But for now it's the feeling of "maybe this is relevant for later on or maybe I'm just getting paraoid?". If you can, I'd suggest reading this one with the next book reading to be open either right next to you or in your eReader, cause the cliffhanger is one of the specially horrible and cruel ones!! I'm beyond happy I waited to read all three books in a row and didn't start the series last year, cause the wait would have been painful!! All in all, this is a brilliant sequel and very much deserving of 5 stars!! Friday Reads: All-of-a-Kind Family by Sydney Taylor!! Hello everyone! Happy Friday! This Friday is a particularly happy one for me since I'm gonna be leaving for my parents cottage and gonna be there till Monday, spending my time relaxing, reading, playing with the puppies and sleeeeping!! As my first entry for this week's Friday Reads I have yet another of the Classic Middle Grade books from The Midnight Garden monthly read-alongs! Today is also the day we're having the read-along discussion there, so drop by! I'm loving taking part of these read-alongs and discovering such lovely books that I had missed originally on my childhood! This is yet another book that I've read and loved thanks to the very awesome ladies at The Midnight Garden. As another of their middle grade challenge read-along books, this is a new discovery for me and yet again, a lovely lil gem! All-of-a-kind family is the kind of lil story that would really help children see how different things were quite a few years back, and it works the same way with adults. Every description felt so genuine, so well done, and nothing in the narrative, not the descriptions of how the girls had to save their pennies for the dad's birthday or how the way some meals were reserved only as treats for certain days, nothing was written in the "woe is me" kinda way, but simply as a fact that it was like that. A family of limited means making the most of everything they had! I knew I was going to love the book since it started with the five sisters going to the library! I could relate with Sarah's anguish of not finding her book! That has been a recurring nightmare for me, and it's been a looong time since I've taken books from the library! But as a young girl the library was one of my most favourite places to go, roam around and find my next read! 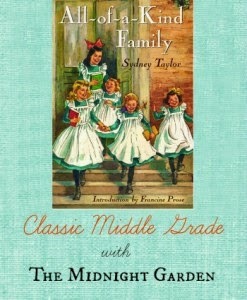 I loved the every day happenings of the family and the wonderful descriptions on the book. How each of the girls were their own person but never felt like they were too much of a stereotype! I loved their joy at finding books and at buying and making the most delightful games of eating their penny candy at night! One of the episodes I felt that rang more closely to my own childhood was the one about Mama's rules about the food and how when Sarah refused to eat her soup, she wouldn't be given anything else to eat. That was pretty much my mother's rule, "if you don't eat this for lunch, you'll have it for dinner and if not, for breakfast". Only once I refused to eat my lentils for lunch, and let me tell you, lumpy re-heat lentils for dinner, I do not recommend! I loved how it portrayed the view from both the obstinate child that wants to give in but doesn't and the mother that worries but can't back down! Another wonderful thing about this book is the descriptions of all the Jewish traditions and holidays and how the family included other non-Jewish people in their life and included them in their celebrations, like the library lady and Charlie! Every reference to them as gentiles seemed casual and never implied as a good or bad thing, simply what it was and that it was okay. I might have been a lil bothered with some tiny things, like the importance of the girls learning to be good housewives, but I cannot fault the book given its age! It compensated with the immense love of the girls for books, so I forgave that. A most delightful read, even after all these years since it was written! Very well deserved 4 stars!! 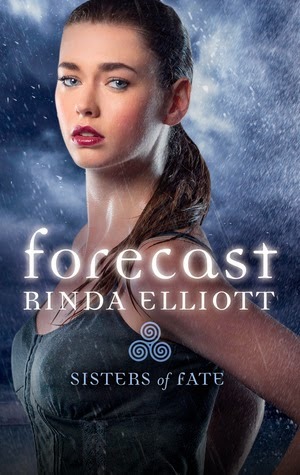 First Chapter, First Paragraph #4: Forecast by Rinda Elliott!! This week I'm sharing a teaser from an ARC I was lucky enough to get sent by the author and it's the sequel of a book I discovered thanks to Jenny from Supernatural Snark! Norse mythology for the win! "The boy's furious dark gaze locked with mine as the cop snapped the handcuffs on him. He stared hard at me for a moment before snarling over his shoulder. "Seriously? What's with the damned cuffs? You can't do that. I said I'll come!" So what book am I awaiting with bated breath this week? 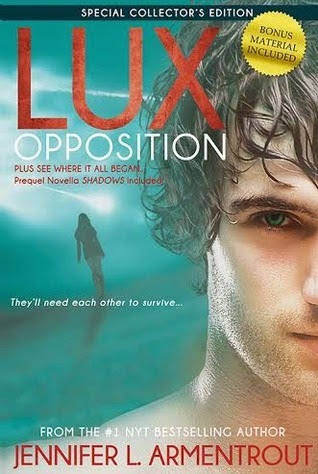 Opposition by Jennifer L Armentrout!! Why am I eagerly awaiting Opposition? Well, I binge read the entire Lux series at the beginning of last year, a few months before Origin came out, and the wait with the horrible cliffhanger in Opal, till I could get my hands onto Origin was baaaad. There was a cliffhanger in Origin too, but at least not so bad! I cannot wait to see what will happen now that the Luxen are on Earth!! Time is running out, and the fate of England hangs in the balance in this entrancing novel that is atmospheric and lyrical, dangerous and romantic." I picked this one as my July read from my "Alyssa recommends" list, inspired by Epic Recs, where Alyssa from The Eater of Books recommend me a book and I recommend her another! Since I was in the mood for fantasy I decided to pick up this one! ARC August is here! Hosted by Read Sleep Repeat! 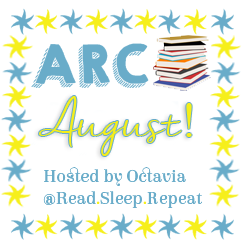 After the success for me that was ARC April, and seeing that the ladies at Read Sleep Repeat have decided to host ARC August once again, I'm totally gonna be signing up for it! I think after taking part in ARC August I might very well finally get the ever ellusive 80% ratio on NetGalley! I have a list of books I need to read and review that I will be working in on August and hopefully a few of those ARCs that have been there for too long. Most will be from NetGalley with maybe one or two from Edelweiss and at least one for a blog tour! I have a few ARC reviews that will be going up in August but those are already read, so they won't exactly count for the challenge! 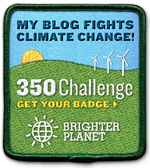 Wish me luck and if you want to join, SIGN UP HERE! Mark This Book Monday: Shadows by Paula Weston!!! Hello guys!! Welcome to a new week, new Monday and as such a new edition of Mark This Book Monday! This week I'm gonna be reviewing the three books that are out so far (in Australia and the UK) from The Rephaim series. One of those very few series about angels and demons that I have actually enjoyed and adored! Which ones are the others you may ask? 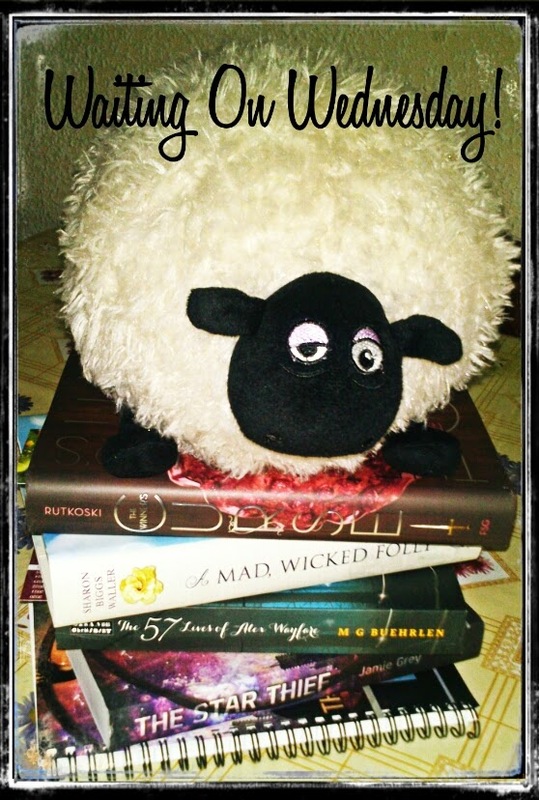 Sweet Evil trilogy by Wendy Higgins and Penryn and the End of Days by Susan Ee. 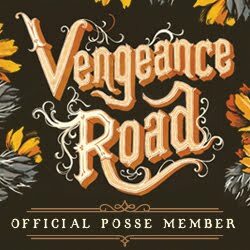 I want to thank Kristen from My Friends Are Fiction and Sam from Realm of Fiction for putting this series on my radar, you ladies are two of my most trusted canaries! I have never really been a fan of books about angels and demons but I had two of my blogging friends, Sam and Kristen, highly recommend I started this series last year but somehow I completely forgot about it. Fast forward to last week when the third book in the series came out, Sam was again raving about it and I decided to get the three books for my Kindle app... and the rest is history as they say, I totally binge read the three books in two days! Shadows is the first book and the one that keeps us confused for the first half of it, as confused as Gaby herself is. She moved to Pandanus Beach trying to recover from the horrific accident where her twin bother Jude died, and now a year later, she seems to be able to start living and not just surviving. But then a mysterious stranger called Rafa arrives, calling her Gabe and claiming to be Jude's best friend. And that's just the beginning of what could be defined as "all hell breaks loose!". Gaby is told that she's not 19, she's not human, she was presumed dead too and her being alive makes her a suspect of treason to her own people. There are two sides that are telling her to choose, not really believing her when she says that she has no idea what's going on and she's being pushed in every direction to remember the past and defend herself. I loved Gaby from the start, she was trying to heal, trying to find a new life for herself and then she's thrown THE curve ball and she doesn't know what to do or what (or who) to believe. Rafa proves to her that he was her brother's best friend and that they had known each other before, but he's quite stingy with the information he provides. Gaby has to relearn a LOT of things, starting with who to trust, how to fight and what she is not willing to compromise. She might have been someone different once, but she is now Gaby and she won't forget about her friend Maggie and her other regular human friends. Rafa was a very interesting character, even if his tendency to expect Gaby to remember things or to be stingy with the information he provided really got on my nerves on occasion. Given that the rest of the Rephaim aren't any better with their information sharing, I quickly forgave him for it. He might have not been 100% sincere from the start, but he always gave Gaby more credit and treated her more like an equal than the ones that were supposed to be on Gaby's side. Daniel I quite dislike on principle and never really warmed towards him, he was too much of the politician and didn't care enough to bother giving Gaby a chance to explain herself or really believed her when she said she didn't remember. So for me, the possible love triangle really wasn't such, as I'm pretty sure it wasn't for Gaby! Maggie and Jason were also interesting secondary characters, and with very interesting twists hidden too! One of the best things on this book is how well balanced the action and the world building were. We don't really get any info dumping, we're getting explanations but at the same time we're moving the plot along. There were plenty of twists, unexpected reveals and surprises along the way and the take on fallen angels never felt overly done at all. One heck of a first book and one that I flew by and as soon as I was finished needed to start book two! Well deserved 4.5 to 5 stars! Even if angel books are not your thing, trust me, this one might just be! This week's haul is special but for no other reason that I'm a geek and it's my haul number 42! And 42 is the answer to the question of Life, the Universe and Everything!! Ah, I feel like I need to re-read the Hitchhiker's books again soon! I got a few books in the mail, that seems to be working way more slowly now that it's summer, oh well! Thank you so much to Harlequin HQN and Rebellion for the approvals this week! (continues humming BSB songs). Thank you so much for these, Rinda and Clare!! Well, that was quite a big week too! With books arriving in the mail almost two weeks after buying them... and I'm still awaiting my Barnes & Noble order! Hopefully next week! What all did you guys get this week! Isla Is Coming: A Happily Ever After readalong!! Talk about perfect timing! 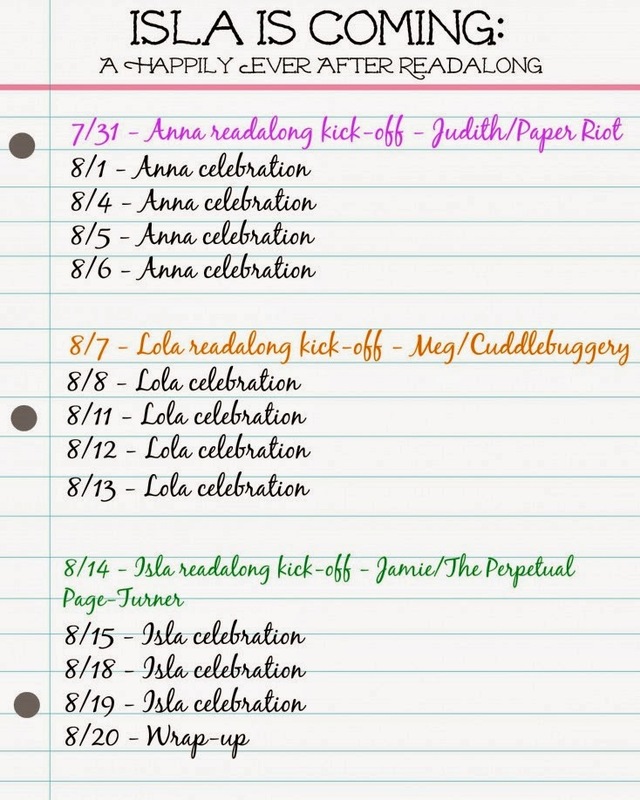 I just recently got the Kindle ebooks of Anna and Lola and preordered my copy of Isla, cause I had heard so many great things about them, and was planning to read the two previous books in August in preparation to reading Isla on release day, and ta dah! the awesome Andi from Andi’s ABCs, Jamie from The Perpetual Page Turner , Judith from Paper Riot, Lindsey from A Bookish Sinister Kid and Meg from Cuddlebuggery had prepared a fantastic readalong!! I'm so pumped to do this now! If you want to join too just signed up HERE and get ready to start reading and tweeting with the #IslaIsComing hashtag!! You can use the awesome banner and add the button to your side, both done by Meg from Cuddlebuggery, aren't they both gorgeous!? 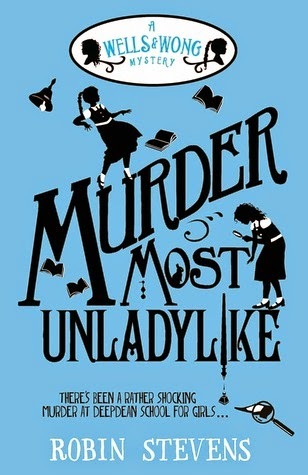 Saturday Pages: Murder Most Unladylike by Robin Stevens!! Hello there! Saturday is here and working morning shift is no fun! I wake up thinking of nap time! For Saturday Pages this week I have a wonderful middle grade book that the lovely Wendy from The Midnight Garden put on my radar when she did a cover reveal for the US version of the book on the blog. I read the summary, ordered the UK version since it's the one that's out now and started reading as soon as it arrived! I don't usually read that much MG (middle grade) but when I do, it usually wonderful and delightful stories that make me want to read more. I first heard about this lil gem thanks to Wendy from The Midnight Garden, when they did a reveal of the US cover and title (Murder is Bad Manners) and when I read what this book was about, I knew wouldn't wait till 2015 for the US edition and upon checking TBD, I quickly grabbed the UK edition (my anglophilia might be showing, cause I think I like this cover and title even more than the US one). If I had to describe this book in short, I'd say it's Harry Potter (sans magic) meets Miss Marple. We have girls in a boarding school and a murder mystery! I've always loved whonuits and English/British settings, so this one was a must have for me! The year is 1934 and we're at Deepdean School for Girls, where Hazel and Daisy have formed an unlikely alliance, friendship and Detective Society. Unlikely cause Daisy is the perfect English girl, with a rich family and the girl everyone loves. Haze is from Hong Kong and therefore none of the things that Daisy is. 1934 means after the Big War and before WWII and so there's a certain mistrust of the different and coming from Russia and Germany and the Orient, even as they're still exerting colonial influence. The setting of the book is fantastic, feels so realistic, and you immerse yourself so well in this world! We go through the story from Hazel's POV, which is helpful since none of us are English girls from the 1930's and we'd need some help to understand the intrincacies of a boarding school and the unspoken rules and hierarchies within. Hazel finds the boy of one of the mistresses one night at the Gym and when she returns with help (Daisy and one of the older girls) the body has disappeared. That's when the Detective Society decides to take their first real case, Daisy completely enthusiastic, Hazel still in shock and more than a lil frightened. Then starts the detecting, the alibi setting, the motives ascertaining and you keep on turning page after page to see what else Daisy will cook up, and what new clue one of leading ladies will discover. Both of them favour some of the suspects over another due to personal likes and dislikes, and it's quite a lesson both girls will have to learn, as well as a better way to work together. All in all a most delightful read, including when the real villain being revealed and upon having guessed right a 5 am fist pump happened! I'm quite looking forward for more books in this series now. Very well deserved 4.5 stars. Friday Reads: Sixth Grave on the Edge by Darynda Jones!! 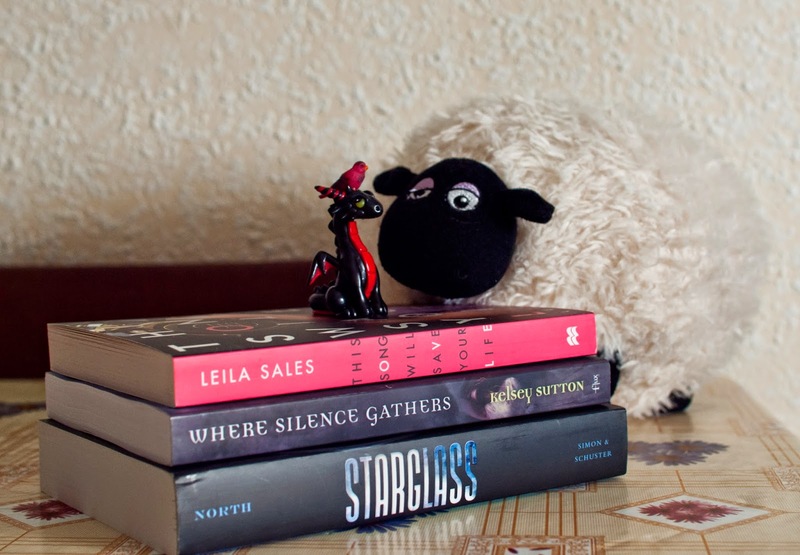 In this week's Friday Reads I have a book that's part of my 2014 Book Blogger Summer Reading Program challenge list and that's part of one of the very few adult series that I still follow (along with the Fever series and the Chicagoland Vampires). 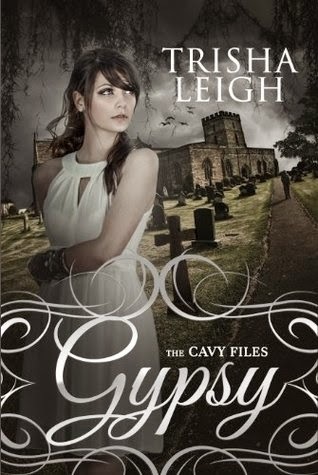 Since I discovered the Charley Davidson series it has become one of my favourite urban fantasy/paranormal series, and one of the very few adult ones that I'm still following, preordering and reading almost religiously. There is still so much of the world building in this series that is to come, cause we're still left with quite a few questions unanswered, even if we get a few twists and reveals in this book (a pair of them quite on the BIG side) but the biggest strenght of this series are the characters and the humour. I love Charley and her very peculiar self, she's quite unique and hilarious and even though sometimes I wish she wasn't quite so heads-first into things, cause she's got enough bad run-ins with bad guys to try and get some caution and a bigger sense of self-preservation, but when she is on the path of helping someone, she tends to lose perspective easily. I love her relationship with Cookie and Amber and I love Cookie and Amber themselves! I also adore her relationship with Reyes and how she can be clueless and infuriating and also how she tries to put him in his place on occasion. Reyes is one of those alpha bad boys that aren't hard to find in paranormal books, but given that he's the son of Satan, some evilness of character seems to be granted. He's changed sides because of Charley and despite his very aggresive tendencies, and how infuriating it can be for him having Charley running head-first into situations, he's always there for her, no matter what. Their chemistry is totally off the charts, and that's as present as ever in this booka and after having him send Charley a curve ball in the shape of a proposal, here we see them learning to work more as a team and Charley making a choice that might not be the best one for the universe (apparently) but it's the right one for her. There are a lot of threads and stories going on at the same time now, since this is the sixth book, some are more fate-of-the-world related than others, and some show more connections between them than others, but all seem to get a little of time in this book. We see Charley playing match-maker with Cookie and Robert (Robert who? Uncle Bob! ), we get some really strange vibes off Charley's dad and step-mother (there's something else in there that we don't know about) and by the end of the book we get TWO big things happen, one of them quite ENTIRELY unexpected, at least for me! Now I'm even more excited for book 7 (Seventh Grave and No Body) and I'm wondering if is it the last one, or are we getting an 8th one?? Either way, cannot wair for more Charley and Reyes!! Well deserved 4 stars! 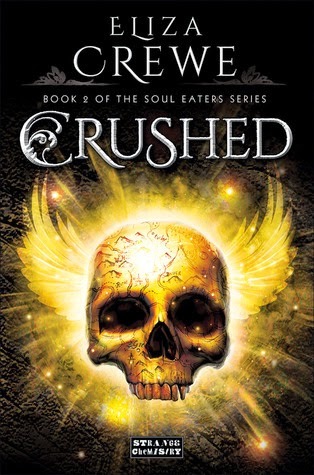 First Chapter, First Paragraph #3: ARC of Crushed by Eliza Crewe!! This week I'm sharing a teaser of an ARC of one of the books that are now in limbo due to the Strange Chemistry close down, and it's the sequel of a book with one of the most unique main characters I've read, and I'm really really hoping we'll get this one as a proper finished book! "Like most things, fun is better when it's stolen. A fortunate coincidence, considering that's probably the only kind I'll ever have again. Stupid Crusaders with their stupid rules. For a homicidial group, they're appallingly restrictive. No, Meda, you can't leave campus. No, Meda, you know we have a curfew. No, Meda, you can't eat that guy." So, what book am I-biting-my-nails-waiting-for-release-day this week? 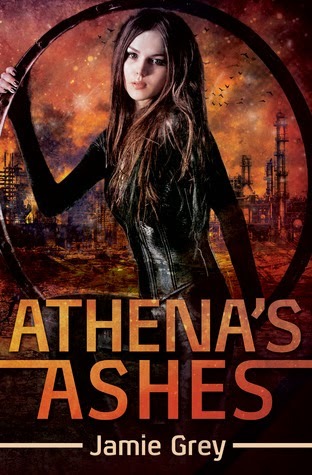 Athena's Ashes by Jamie Grey!! "It’s Renna’s biggest job yet – convincing MYTH leadership that she’s put away her lock picks and is ready to save the galaxy, despite the dangerous implant in her brain. But with the Athena on the run, she’s working solo and facing her most ruthless enemy, the traitor Pallas, who’ll go to any lengths to destroy the MYTH organization. Including framing Renna for a devastating assault on MYTH HQ that leaves their defenses crippled and hundreds dead. Out of time and options, Renna’s got one shot to take down the traitor before he annihilates everything she loves, even though winning this battle may cost her everything." Why am I eagerly awaiting Athena's Ashes? Well, Jamie Grey is one of my beloved indie authors and I've loved everything she's written so far, and this is the second installment of her Star Thief Chronicles trilogy and I looooved book 1! Cannot wait to see what happens next! 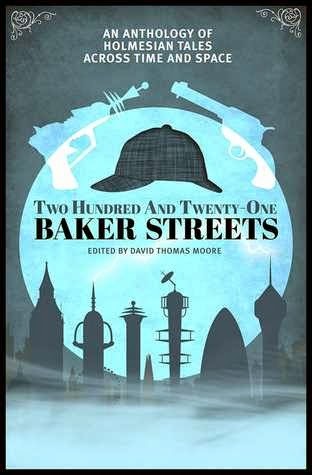 Science fiction, thieves, heroics, it's just my kind of book! Now Hazel and Daisy not only have a murder to solve: they have to prove a murder happened in the first place. Determined to get to the bottom of the crime before the killer strikes again (and before the police can get there first, naturally), Hazel and Daisy must hunt for evidence, spy on their suspects and use all the cunning, scheming and intuition they can muster. But will they succeed? And can their friendship stand the test?" I first heard about Murder Most Unladylike at The Midnight Garden, where they were revealing the cover for the US edition (in the US it will be titled Murder is Bad Manners and it will come out next year) and when I read what it was about (murder mystery? boarding school? England?) I knew I had to get my hands on the UK edition! Thanks goodness for The Book Depository! So I got it in the mail last week and started it over the weekend, reading just a few chapters here and there cause I couldn't resist it! 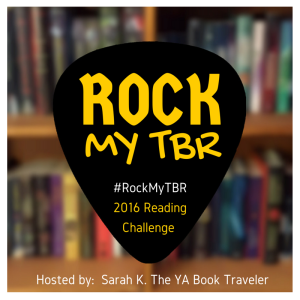 I completely ignored my TBR pile or my review pile here! Mark This Book Monday: ARC Review of Some Fine Day by Kat Ross!! 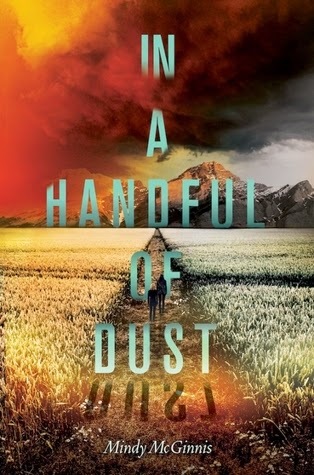 As the second and final entry for this week's Mark This Book Monday, I have an ARC review, one for a book that has been left without a publishing date, that should have been released on the 1st of this month, but that when Strange Chemistry closed, was left on no man's land. 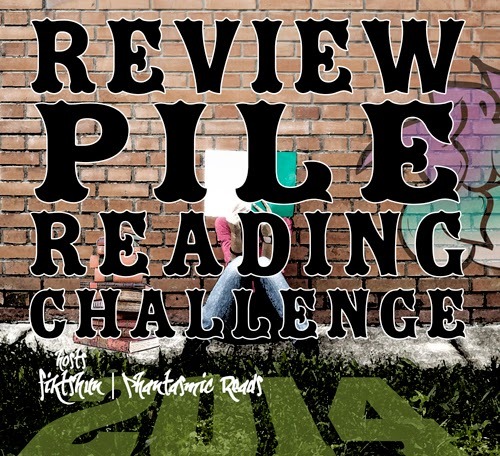 As a review copy it counts towards my 2014 Review Pile Reading Challenge and since it's a dystopian it counts for the Dystopian Reading Challenge 2014 (that was feeling a bit abandoned this past pair of months!). When I requested this one, I knew I'd probably liked it cause it was a Strange Chemistry book and those are usually gems. Now that the Strange Chemistry press is closed, this lil gem of a book is in need of publisher and I count myself lucky cause I got to read it. Some Fine Day is a dystopian which is what made me request it, and not only that it also have a good dose of science fiction, and not any science fiction but the classical, Jules Verne kind of science fiction, and that to me, an absolute fangirl of everything Jules Verne... was a treat! The world where Jansin lives is postapocalyptic since after massive climate changes society collapsed and the best and greatest of humanity moved underground to survive. Massive storms and hurricanes (called hypercanes) travel the surface of the earth destroying everything in their way. Civilization has continued in a different way underground, with city states, rigid society rules and big on the military. She gets a chance to go on vacation to the surface before graduating from the military academy and that's when everything changes. I've read many dystopians, and I can get a feeling where things might go now and then, but this book managed to blindside me not just once, but twice. I was expecting the plot to move one way and it ended up going somewhere different! Which made me happy, cause it was a great direction both times and not only showed us different points of view, progressed the world building and allowed Jansin to grow and progress as a character, but I also like when things are not predictable! There's a pair of twists, a Star Wars reference that made me laugh out loud and that has won this book a half star extra, a LOT of action, world building without info dumping for the most part and a little bit of romance that was a big motivator and that despite the fast pace of the book didn't feel like too rushed or insta-love-y. The ending is a cliffhanger and now it feels even more horrible cause I need this book to be published and the sequel to be written and published, cause I want to know what happens next! Well deserved 3.5 stars to this one and with the well earned SW extra .5 rounds up to 4 stars! Mark This Book Monday: Mini Reviews: Fortune's Risk & Atlantia sampler! Hello & welcome to a new week and another edition of Mark This Book Monday! This week it's gonna be a double edition, this one with two mini-reviews and another one with a full review for a full book. For starters I have a novella that bridges the gap between book 1 and 2 of the Star Thief Chronicles and a sampler that I got on NetGalley of Atlantia (thank you for the approval, Penguin and Dutton Juvenile!). A very intertaining short story where we get to know the adorable and sometimes irritating adorable rogue that is Viktis, the Ileth pirate. I was a fast read, a short story that serves a double purpose: to hold us up till Athena's Ashes and to give us a glimpse at Viktis' past and what lays beyond his scoundrel pirate mask, and to develop the relationship between him, Finn and Keva. Viktis is planning a scam and take down action against one of the most, if not the most, dangerous mob bosses of the galaxy, Kitty Cordoza. Despite a fairly cleverly crafted plan, and managing the very hard part of getting Keva and Finn on board to help him, things start falling apart quite soon and Viktis sees himself in a very bad spot. I don't want to talk about the plot much cause I'd end up spoiling it too easily, but it was really fun to read, very quick and having it told in a different voice from Renna was also refreshing, seeing other POVs and seeing what makes them tick a bit more! 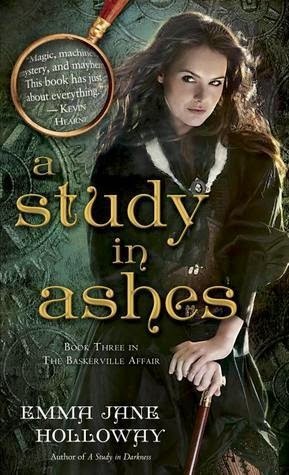 I cannot wait for Athena's Ashes next month! And I wouldn't mind more novellas about Viktis, Keva and other members of the crew! I read and loved Matched by Ally Condie and even if the whole trilogy wasn't all equally enjoyable, I was still be intrigued by the summary of her new book, so when I got the chance to read a sampler for it on NetGalley, I jumped at it! Thank you Penguin and Dutton books! Atlantia is a dystopian book, one where things have been changed for a while, one where a choice must be made between the Above and the Below (Atlantia), and it's Rio's story. She wanted to go to the Above but her choice changed when she decided she had to stay with her sister. Then she's thrown for a loop when she finds herself alone in Atlatia. This sampler is only like the first 42 pages of the book, but it was enough to make me very curious about the world, the city of Atlantia, the Above and all the secrets that seem to abound around. Sirens? Unexplained deaths? So far, I'm intrigued and interested and I wanna know what happens next, so I think the sampler did its job well! 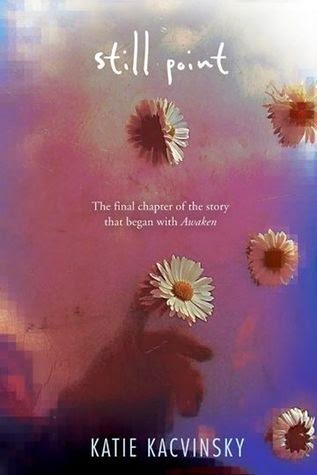 Saturday Pages: Attachments by Rainbow Rowell!!! Friday Reads: Hexed by Michelle Krys!! Mark This Book Monday: Eon by Alison Goodman!!! 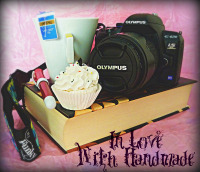 Just Couldn't Put It Down July Blog Hop!! Saturday Pages: ARC Review of Rain by Amanda Sun!